Innovative system fabricated and assembled by Cannon Industries. Boxes are designed for manufacturability to keep costs low. Fabricating fare boxes is a growing business segment and opportunity for Cannon to supply innovative products in both Spain and the U.S. for collecting payment and dispensing tickets for mass transit fares. The Fare Box sits on a street corner with a large amount of cash inside, and dispenses passenger tickets to ride the subway at any time of day. The fare box itself is a 6½ foot stainless steel enclosure with a #4 brushed finish in the vertical direction. A total of 500 different stainless steel components are integrated into the enclosure, including four safes in the box. One holds nickels, dimes and quarters to provide change, and another holds silver dollars fed into the system. The system features a carriage with seven different types of passenger tickets and a bank note reader. The machine also has an alarm system, an air conditioning system, a personal computer and a filter manufactured by Burnett Process, a subsidiary of Cannon Industries. Customers can use either a credit card, debit card or bank note to purchase a fare, and there is a printer inside the unit that creates a receipt. The unit also features a completely interactive display which simplifies operation, and provides round-the-clock access to tickets. 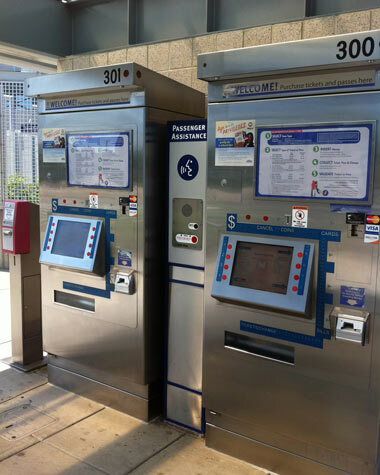 Cannon Industries fabricated and assembled the complete system, and the fare boxes are currently being used in metropolitan areas across the globe. Normally you hear about products being exported, but this is a project where Cannon has been able to take a system previously manufactured outside of the U.S. and bring it in-house. We also have additional opportunities in Brazil and Mexico.